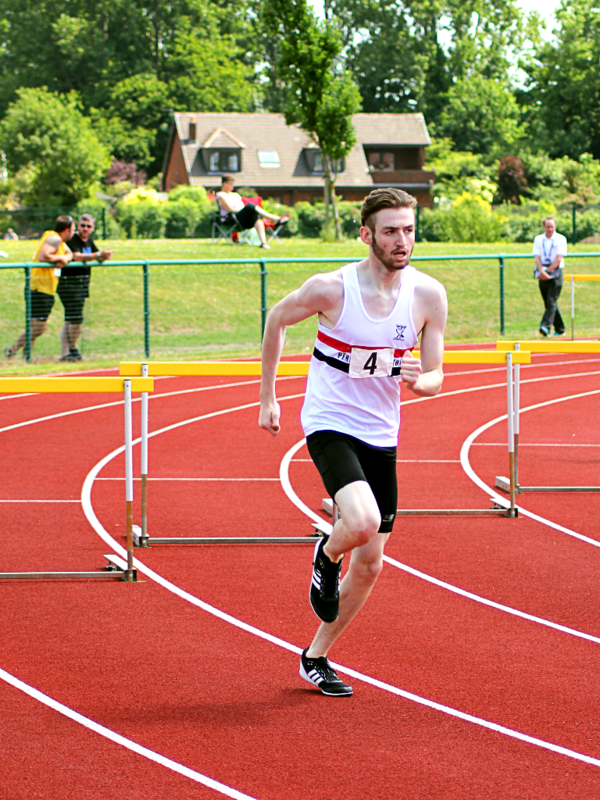 The second fixture in the Northern League division 2W took place at sun drenched Leigh Sports village on Sunday. 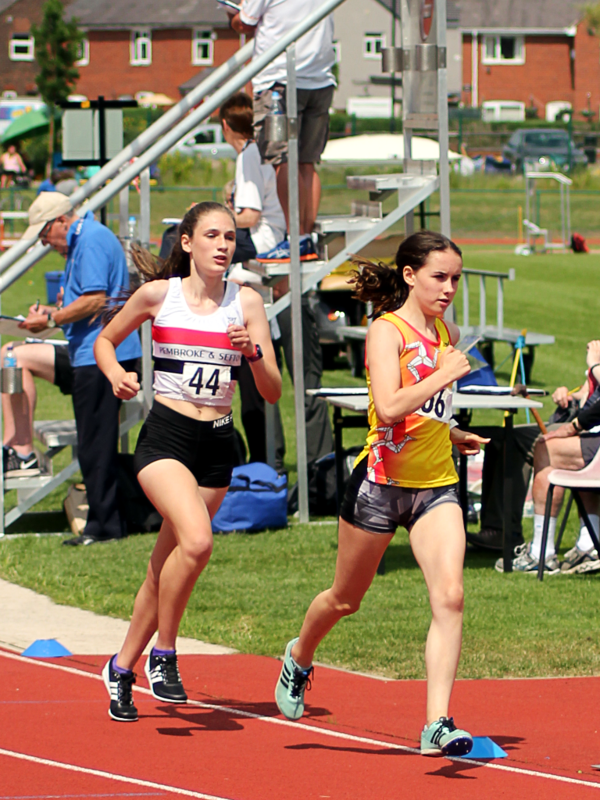 Despite fielding a depleted team LPS(356) clinched third place, behind Leigh Harriers (405) and Team Isle of Man(368). 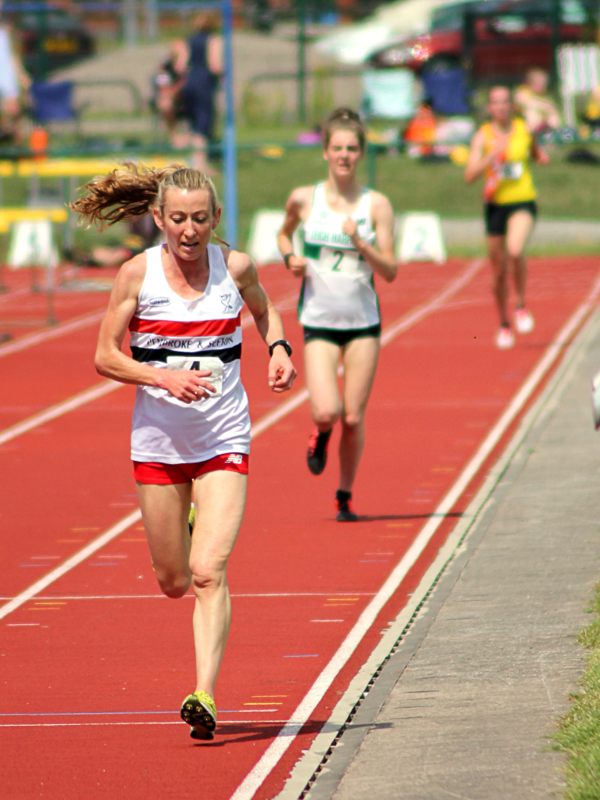 Liverpool Harriers were 4th (322), Manchester Harriers were 5th, with Blackpool in 6th place (301). 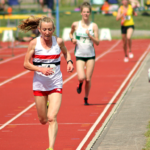 The hot conditions were never going to produce fast times in the middle distance events, but it didn’t stop excellent runs from Kirsty Longley and Helen Sahgal. 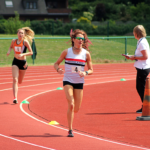 Kirsty comfortably won both the 3K (10:01.8) and 1500m (4:44.1), while Helen equalled her season best in winning the 800m (2:19.7) as well as taking victory in the ‘B’ 1500m (5:01.6). 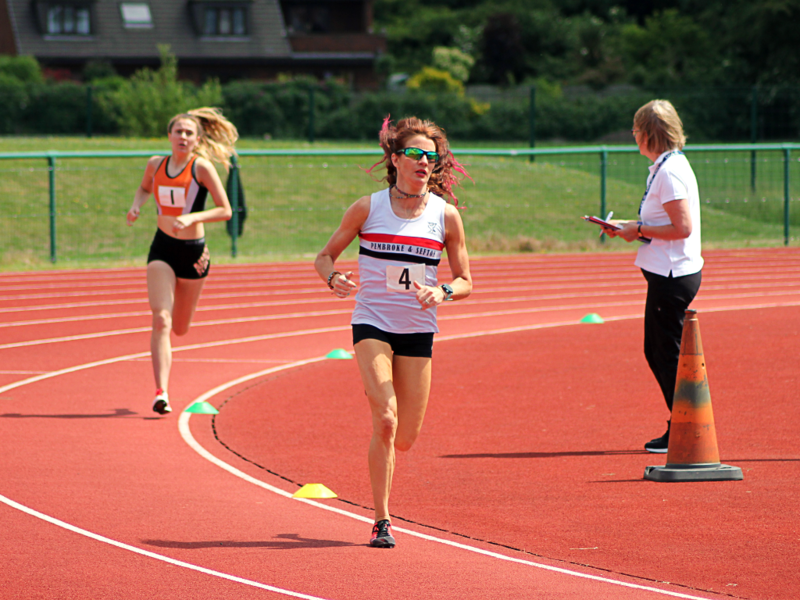 Youngster, Hannah Doyle took 3rd place in the ‘B’ 3K. The female throwers were in fine form too with Jenny Pyatt, Paula Murray, Jess Groves and Laura Fairclough all proving to be high point scorers. 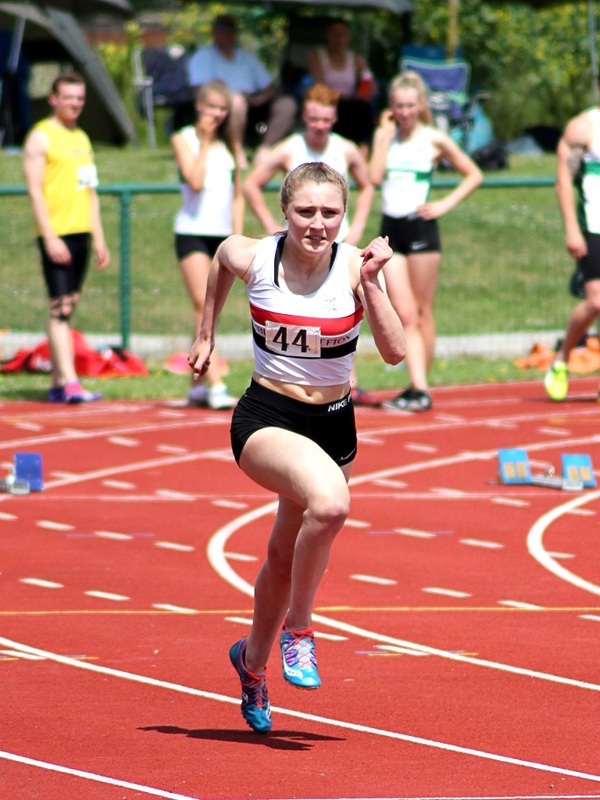 Jenny won both the discus (39.65m) & ‘B’ javelin (33.10m) & picked up 3rd place in the shot. 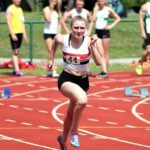 Paula won the javelin with a throw of 33.43m, was 2nd in the discus (22.64m) and made a valuable contribution in both relays. Fifteen year old, Jess Groves, continues to improve and she took second place in both the hammer (27.66m) and the shot (7.88m). Laura Fairclough, in her first outing of the season was 3rd in the hammer with a throw of 32.26m. The veteran throwers continue to exceed expectations, with Dave Brown, Mark Crompton and Mark Line, all making valuable contributions to the points total. 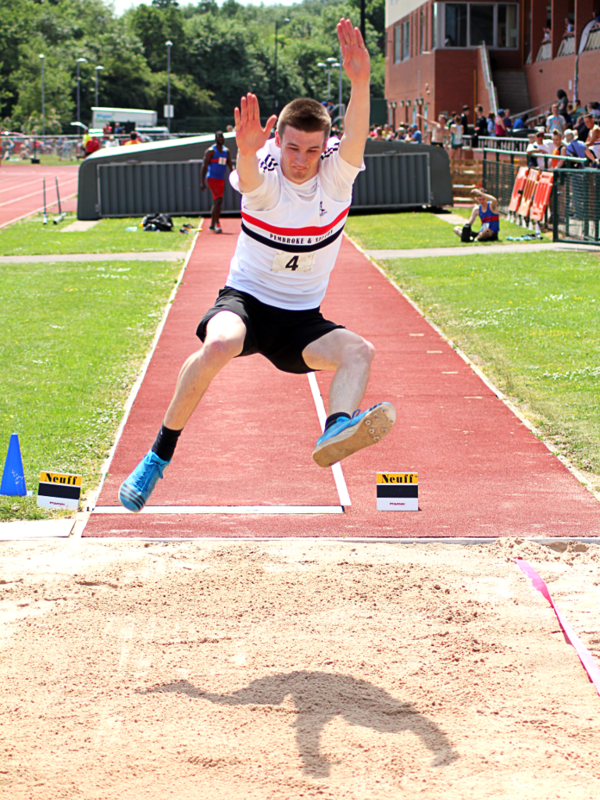 Dave Brown was third in the discus (29.88m), javelin (34.27m) & ‘B’ hammer (21.99m) while Mark Line was 3rd in the hammer (32.90m) and 2nd in the ‘B’ shot. 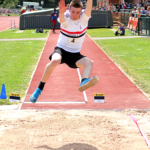 Mark Crompton was 2nd in the B’ discus (26.94m) and 4th in the ‘B’ javelin (28.21m) as well as 4th place in the pole vault (2.70m). Fellow veteran, Dave McComb, managed 2nd place in the pole vault with a jump of 2.50m. 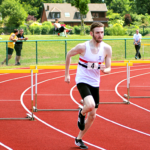 Other notable track performances on the day came from Danny Higham who was 2nd in the 200m (22.6), Adam Jones, 3rd in the 1500m (4:21.7) which equalled his season’s best and veteran Kevin Usher who finished 3rd in the ‘B’ 5K (17:28.5). At the end of the day it was an excellent team performance with all athletes contributing to the club’s third place finish. 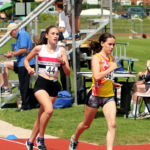 None more so that fourteen year old Aurora Dunne whose 5th place finish in the triple jump(8.60m) was a personal best for her.